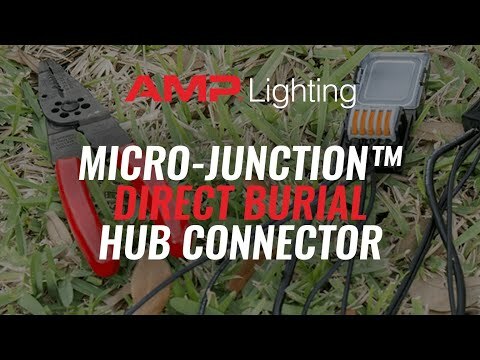 Introducing the next level of direct burial connector for use with multiple low voltage fixtures. Low voltage direct burial wire junction designed to connect up to 4 fixtures and a home-run wire back to the transformer. Low voltage direct burial wire junction designed to connect up to 4 fixtures and a home-run wire back to the transformer. Locking clamps secure leads for a strong connection - can not be pulled apart. Pre-filled with silicone grease to ensure a waterproof connection that will stand the test of time. Extremely strong mechanical connection - wires cannot pull out of clamps (like they do with silicone filled wire caps). Use two for each fixture (one for each lead wire).